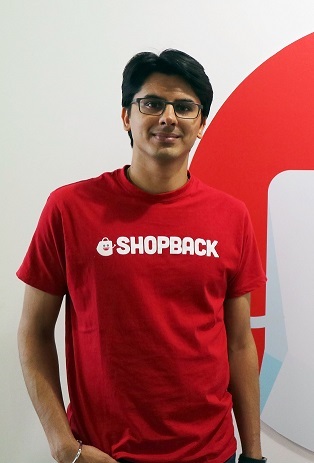 ShopBack, the top Cashback platform in Malaysia and Southeast Asia, forecasts the number of online Cashback users in the country to reach one million by year-end, tailing closely after its counterpart in Indonesia and same time maintaining ahead of Singapore. Alvin Gill, Country General Manager of ShopBack Malaysia said that compared to one year ago, there’s a 260% increase in local user base (over 280,000 users in July 2016 versus over 750,000 users in July 2017), and shared that one million Malaysian users will be achieved soon given the rise of demand, convenient services brought by new online merchants, as well as supporting moves by government such as legalising ride-hailing services in Malaysia. "On-demand delivery services have become pretty well received over the past year as it saves users time and petrol expenses from going back and forth for daily purchase. Who knows if Amazon Prime Now may make its way to Malaysia in the future?” Alvin expressed. He also said that merchants’ offerings are getting versatile. Coupled with government’s support towards digital companies such as passing the bill for Grab and Uber (both are our partner merchants on ShopBack app) in the country, ShopBack is very optimistic about the future of digital economy here. The coming months will see ShopBack bringing higher Cashback and other smart services to propel the growth in Malaysia. Some of the merchants that ShopBack recently partnered includes Eatigo, an emerging food promotion and reservation platform, HungryGoWhere, a popular food review site which has expanded into dining deals and table booking offers, Love-Bonito, a stylish fashion e-retailer and the first joiner in August (Aug 2nd onwards) is Uniqlo, the famous Japanese casual wear fashion brand.